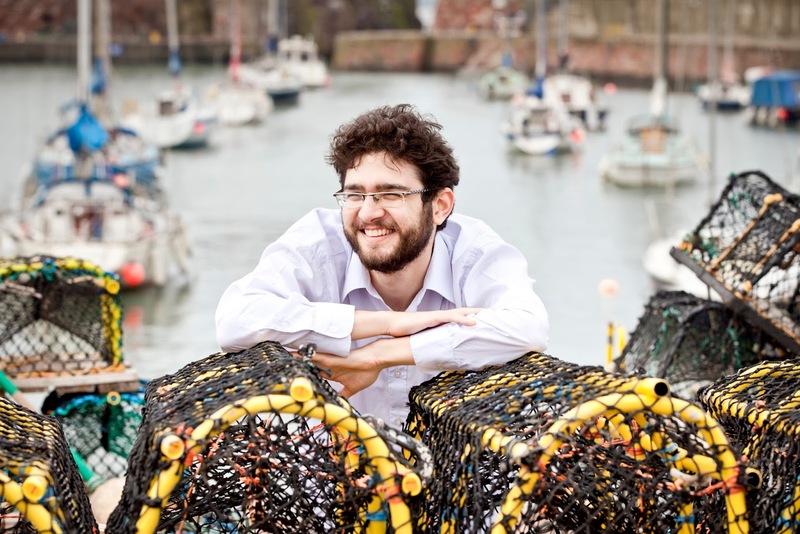 The young pianist Roman Rabinovich is at the Lammermuir Festival in East Lothian next week and will be spending his mornings playing Haydn piano sonatas, 25 sonatas in all over five days. But Rabinovich isn't just a pianist, and also on display will be his lively drawings where were done specifically to complement the performances. I met up with Roman earlier this week to find out more. Roman will be spending the whole week at the festival starting with a recital with violinist Liza Ferschtman on Saturday 10 September 2016 in Prestonkirk Parish Church when they are performing Debussy, Beethoven's Violin Sonata Op. 96, Bartók's Third Rhapsody and Brahms' Third Violin Sonata. Roman is then devoting five coffee concerts in the Town House in Haddington (at 11am Monday to Friday, 12-15 September 2016) to Haydn's piano sonatas. The 25 sonatas amount to a substantial amount of music, the recitals will be around 80 minutes each. It is challenging to programme concerts devoted to a single composer's sonatas, and Roman has had to look for variety of form and key to provide the right contrasts. He has enjoyed exploring the music and has found great variety in it, and he has wanted to bring a sense of dramatic continuity to each individual programme. Roman admits that the sonatas are not meant to be performed as a unit, Haydn would have been surprised and Roman agrees that he might be mad to do it. But he points out that neither Beethoven nor Mozart intended their sonatas to be performed in that way, yet plenty of people do it. He has found it a powerful experience to immerse himself in the music, to live it. And it seems extraordinary to him that even performers do not know all the sonatas well, but admits that neither did he until he started work on the programme. And he feels that this only goes to show how underrated Haydn's music still is, and Roman calls his music 'genius'. The idea of programme a single group of Haydn sonatas came about by lucky chance. Whilst on tour to UK three years ago Roman got into conversation with James Waters (co-director of the Lammermuir Festival), and they talked about Haydn's music, discovering a shared love and James suggested the idea of Roman coming to the Lammermuir Festival to perform Haydn sonatas. Roman says he didn't have to think twice. This years group of Haydn recitals covers only part of the composer's output, and Roman hopes that if the recitals go well he might be able to continue and plan a second series. Learning the sonatas has been an immense amount of work, except he says that it didn't feel like work. For him there is no other composer who has so many ideas, and it seems as if every sonata explores different forms, full of drama and humour. The difficulty of playing the sonatas arises not because of the notes, in fact there aren't many, but the music's very spareness means that every note is important. The player is exposed, and yet you cannot be careful as playing must seem spontaneous. Until last year, Roman had not been particularly drawn to performing a composer's work as a complete group, but in the last year he has performed all of Beethoven's violin sonatas over the period of three days with Lisa Ferschtman, and has also explored much of Brahms' chamber music. But these events just happened, they were not part of a grand plan. Roman's drawings, which will be accompanying the Haydn recitals, are delightful, humorous sketches of himself and Haydn, either in the present day or in Haydn's time, doing unlikely things together. He has always drawn, it has been part of his life since he was little. His parents always took him to museums and art galleries and he was attracted to painting and there was a time when he though he might be a painter. But he is glad that he does not actually have to decide, he is a pianist who paints. His art works are not necessarily music related, and he draws and paints portraits, as well as abstract works. Roman was born in 1985 in Tashkent in Uzbekistan, and immigrated to Israel with his family in 1994. His parents were both pianists, both teachers, and there was always music in the house. At the age of six started studying the piano with his mother. There was no question that he wanted to be a musician, he knew he wanted to do something with music but at this stage the piano was not necessarily dominant. 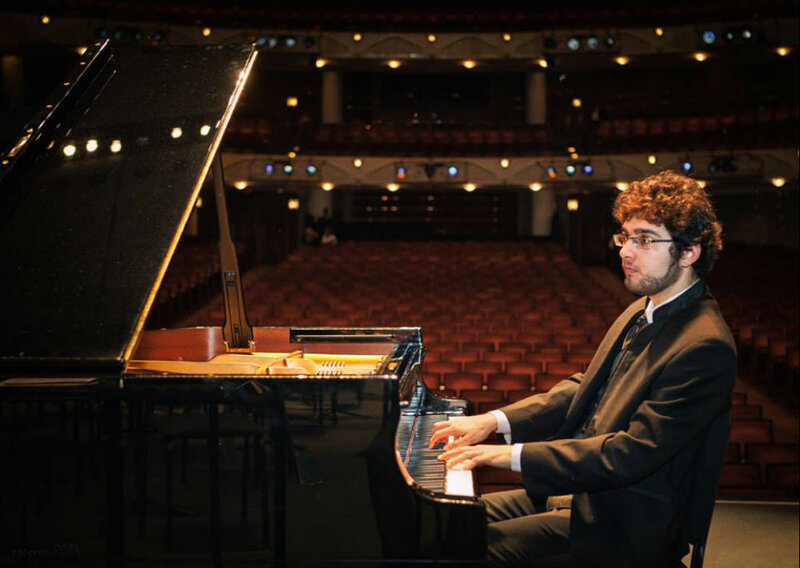 The turning point came when he went to the Curtis Institute of Music in Philadelphia when he was 17, and he chose to concentrate on his piano playing though he also composed. He has recently started composing again, and calls it a wonderful way to spend your days, and his concert programmes recently have often included one of his works. In October 2017 he will be giving a recital at the Wigmore Hall and will be writing a piece for the concert, as well as playing Haydn, Rachmaninov's Corelli Variations and Chopin's four Ballades. He has not taken part in too many compositions, but his winning of the 12th Arthur Rubinstein International Piano Master Competition in 2008 launched his career. He did not really enjoy taking part in competitions, adding that he doesn't know anyone who does, but it was certainly helpful yet he feels that a young performer as to be careful not to do too many competitions otherwise it becomes more about competing, and less about the music. His advice is quite succinct, if you win, stop. 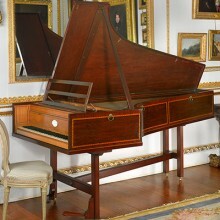 Whilst in London he visited the Alec Cobbe collection at Hatchlands House where he was able to play on a piano owned by Haydn, which he found a very moving experience. (You can hear the instrument on the Cobbe Collection website and on Facebook you can see an interview Roman recorded at the Cobbe Collection with BBC Future) He played on a number of historic instruments whilst there, both Viennese and English instruments. He feels that every pianist should experience this, it enables you to get the true sound of the instruments for which 18th century composers were writing. And for Roman, style comes directly from the sound, and once you have the sound you can translated it onto a modern instrument. As well as solo work, Roman loves playing chamber music and finds performing with partners with common goals such a joy. He performs with Liza Ferchtman as well as with other people, not as a regular ensemble but just a group of friends with whom he plays. He is currently based in New York and after the Lammermuir Festival will be returning there, and he comments that he has not been in his apartment since May. Inevitably his role as a solo musician involves a lot of travelling, he does not dislike it and enjoys seeing new places and meeting new people but the actual travel can be tedious and he calls airports 'not so nice'. He tries to practice for around three or four hours per day, but this can be a challenge when travelling. When he is at home he doesn't count the hours, and can easily play all day. He has no specific favourites when it comes to composers and names a long list, from Bach to Ligeti, whose work he enjoys playing. Next year's recital at the Wigmore Hall is Roman's only concert in the UK in 2017, but his is busy elsewhere with two recital programmes on the go as well as concerto engagements and he is very excited to have been invited to perform with Roger Norrington. As an experiment his recitals at the Lammermuir Festival will be live streamed on his Facebook page.